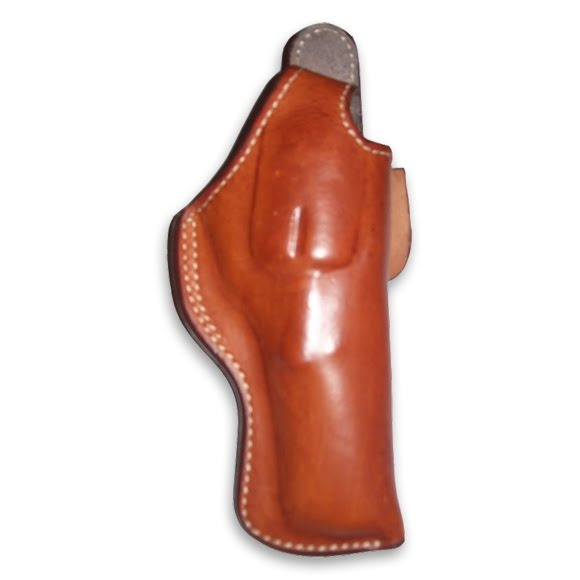 High ride holster with wide single loop to hold the holster close to the body. Thumb break standard. This item is available for most revolvers (closed bottom) and semi-autos (open bottom).